The geography of my living is punctuated by great connections, like the Golden Gate Bridge, the Channel Tunnel or the Hoover Dam, though most might argue it’s more separator than connector. Each are fantastic structures that bring a couple of points together through super-human feats of design and execution. The history of my work is punctuated by more ethereal connections – culture, history, space. I’ve rolled camera across the planet over thirty years and with all that’s archived in my brain, I forget the power and impact of stories I’ve documented. Both these conditions connected on this trip to Promontory Point. 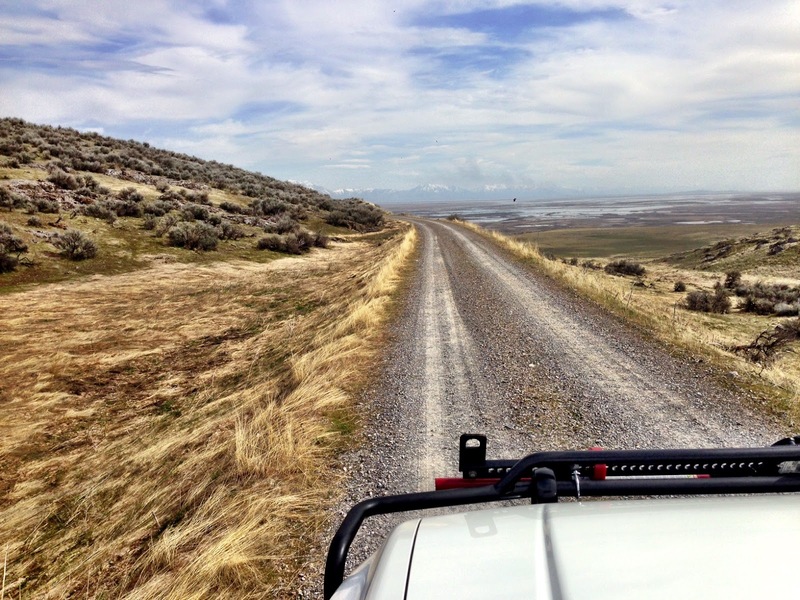 Like Antelope Island’s day trip, we’re looking for area attractions to visit while we’re sorting out our latest adventure vehicle as we prepare for this Summer’s excursions across the Pacific Northwest. 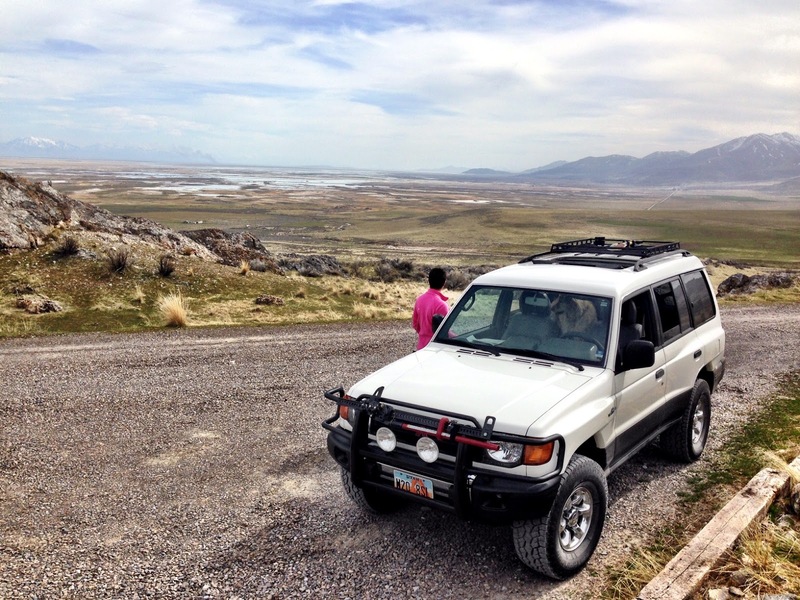 We set out for the Golden Spike National Monument, a place of monumental connection in the United States, Hell on Wheels not withstanding. The monument is standard NPS fare with interpretive sites and impeccable upkeep. The connection between the East and West efforts is commemorated with this shiny tie and a plaque. The actual golden spike is at Stanford’s museum. Another trek worth making. While this is really cool, the story expands in other directions without so much NPS fanfare, one of which is the East Grade Auto Tour, a place where visitors can drive part of the actual route of the Union Pacific Grade. Not only was this part of the original route (abandoned now) it’s purported to be the most treacherous. I’m not so sure about that since HBO’s Hell on Wheels shows many more impossible (plot) twists. 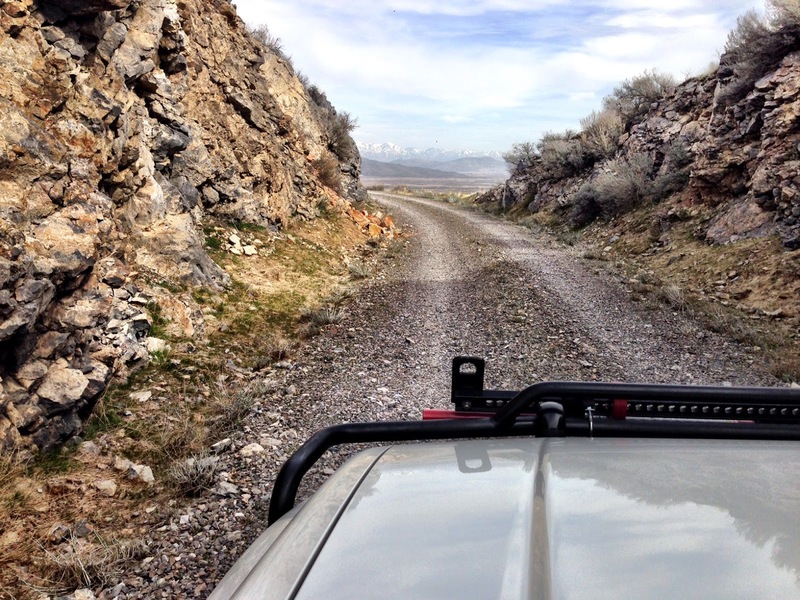 I’m weird this way, but driving this path was like crossing the Golden Gate, knowing what it took to create it, even if it’s now disconnected. The large majority of the effort was on the backs of immigrant workers, Chinese specifically, tens of thousands of them who labored and died under excruciating conditions to make this transcontinental connection. 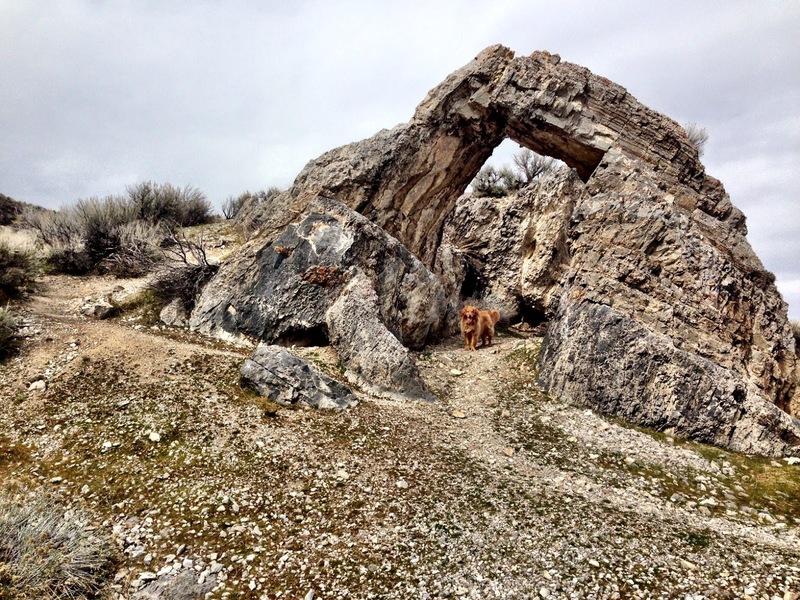 While the NPS has gone to some lengths to recognize and memorialize their efforts, the only early indication of any credit given is this natural limestone arch found along side the Union Pacific Grade. It’s was renamed in 2005 as the Chinese Arch, more honorable than the previous label. Ambling along this grade makes it easy to imagine what early passengers experienced on the backs of vision, ingenuity, treachery and sacrifice. Big Fill also warrants a stop and contemplation, evidence of two colliding efforts missing the point. Check it out to see for yourself. 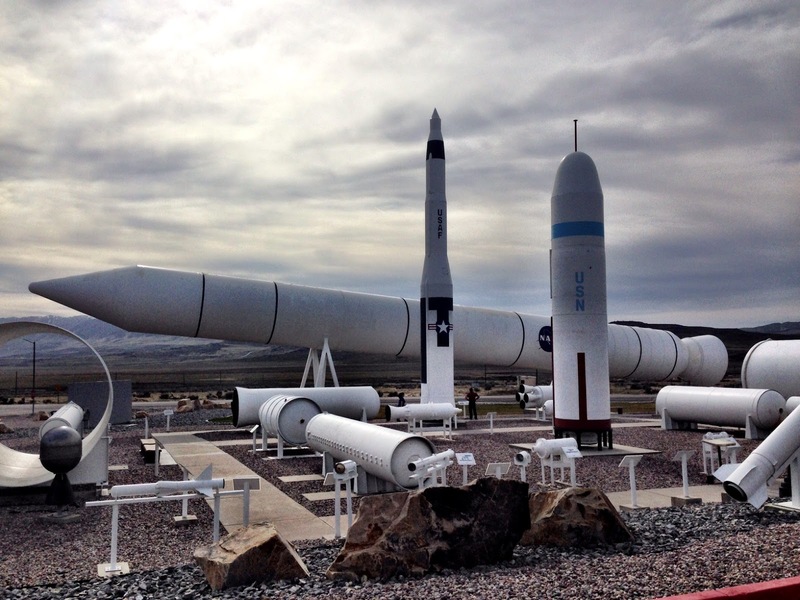 On our way back we stopped by the rocket garden at Orbital ATK, known not too long ago as Morton Thiokol’s testing facility for rocket propulsion, not the least of which were the Solid Rocket Boosters for NASA’s Shuttle program. This careened into American consciousness with the Challenger disaster of January 28th, 1986, and later became part of my documentary work when in May of 1988, another explosion, this one of a solid rocket fuel production facility in Henderson landed me the documentation of creating a new SRF plant for the US Department of Defense and NASA. It was at first exciting to see, to walk around the test devices and explain how they worked; to see again, the vision and ingenuity of making connections or destroying them. But at the back, looming over everything else is the icon of connecting man to space, a solid rocket booster from the Shuttle program. We talked about the failure of an O-ring. 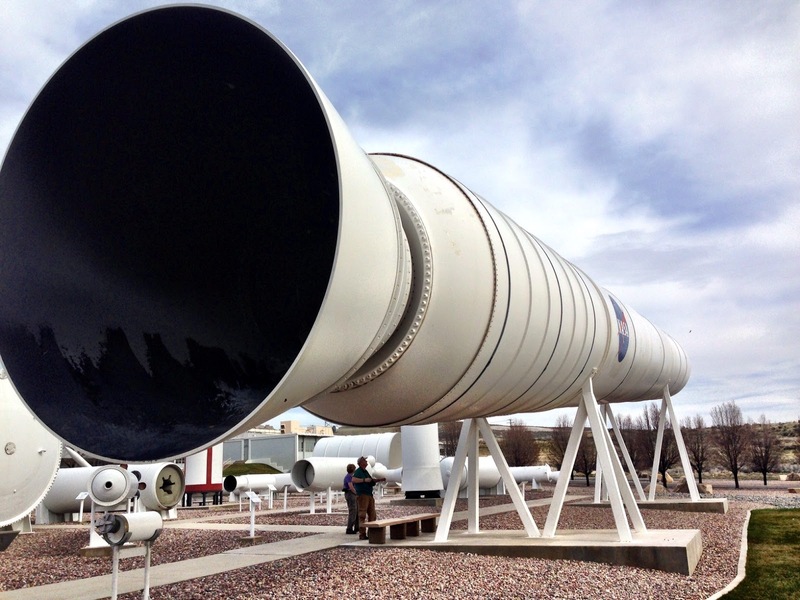 Before us was the machine that gave this failure scope, its devastation, not just to the Challenger’s crew, among which a teacher, but to the men and women who design, build and test these things. We cried for a few moments and left. 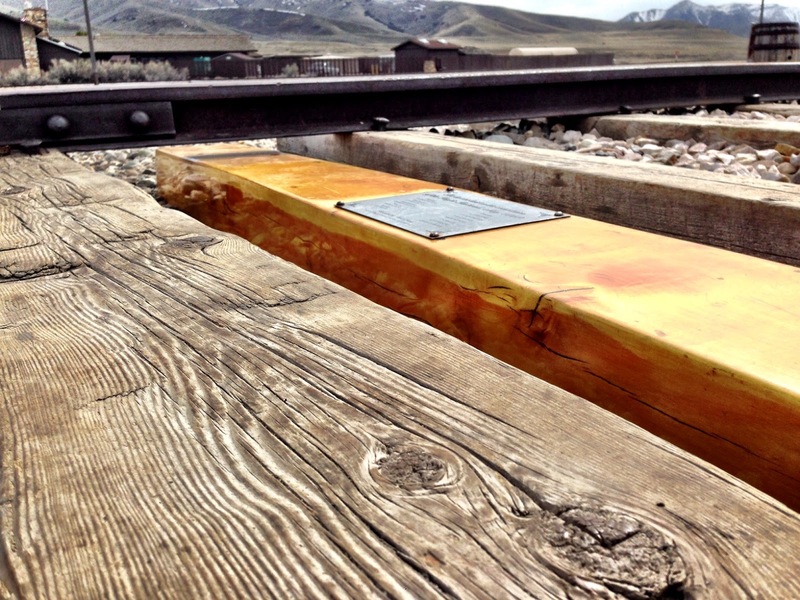 We had burgers at the Golden Spike in Corinne and returned home a little more conscious from the day’s adventure.